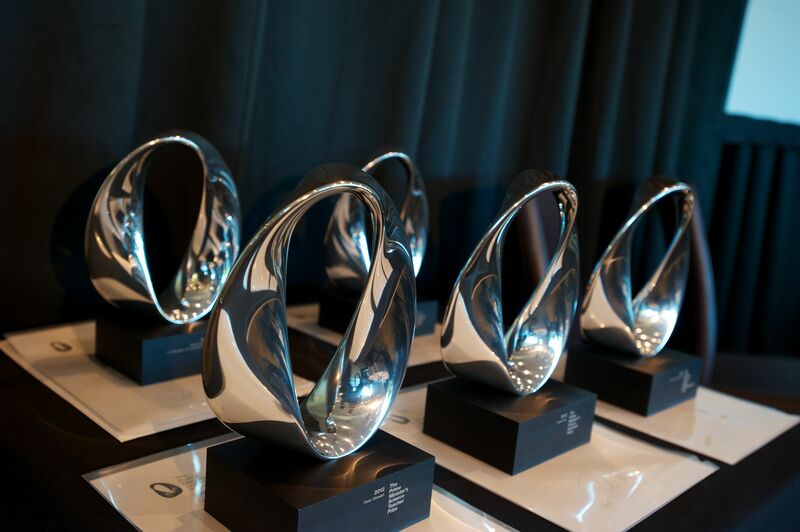 An Auckland scientist who is converting his cutting edge research into a high-technology start-up business has won the 2013 Prime Minister’s MacDiarmid Emerging Scientist Prize. Dr Ben O’Brien has pioneered the development of small, light and soft, stretchy sensors that can measure movement of the human body and transmit the information to a smart phone app. Earlier this year, he formed a company – StretchSense – to start selling the technology to global customers in healthcare, rehabilitation, sports training, animation and gaming. O’Brien plans to use his prize money to take the technology to the next level by developing an intuitive skin-tight under garment that can monitor and interpret body language, gestures and posture to accurately read the emotions of the wearer. His goal is to create an ‘emotionally aware’ body suit that he expects will produce a range of practical technologies that can be commercialised by his company. The Prime Minister’s MacDiarmid Emerging Scientist Prize is worth $200,000, with $150,000 of the money to be used for further research. O’Brien received his PhD in bioengineering from the University of Auckland in 2010 and was awarded the Vice-Chancellor’s Prize for Best Doctoral Thesis. He subsequently received a two-year Rutherford Foundation Postdoctoral Fellowship to work in the Biomimetics Laboratory of the University’s Bioengineering Institute and, in 2011, spent six months at the Microsystems Systems for Space Technologies Lab at École Polytechnique Fédérale de Lausanne in Switzerland to work on miniaturising his technology. StretchSense was spun out of the Biomimetics Laboratory and O’Brien continues to work at the Lab as an Honorary Research Fellow while also being CEO of his fledgling company. His field of expertise is electroactive polymers, materials that are designed to change in size or shape when stimulated by an electric field. 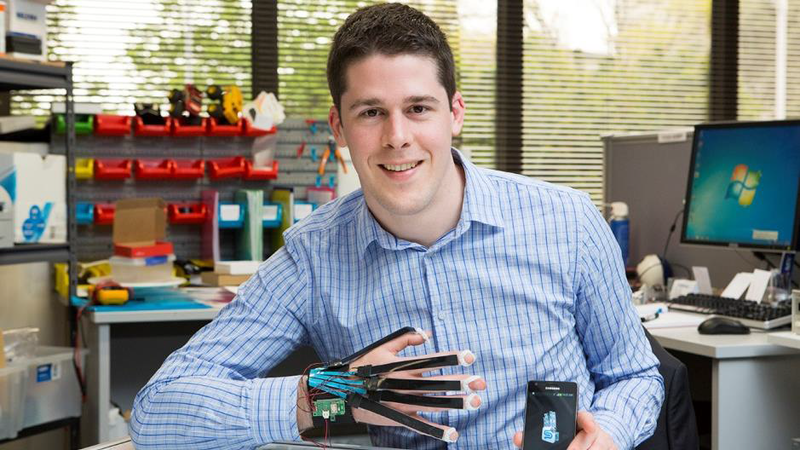 O’Brien invented a dielectric elastomer switch which allows the technology to be directly embedded into artificial muscle devices, giving them life-like reflexes. He helped build a computer, which shows that artificial muscles can be made to ‘think’, to demonstrate the capability. It was a feature exhibit at the Big Dataexhibition, held earlier this year at the National Library of New Zealand. O’Brien says running a start-up business combines his two passions of carrying out scientific research and using it to make a difference in the world. “A lot of academics invent great things but relatively few actually quit their job and have a go at commercialising them. I want to create high-tech jobs that deliver back to the economy.” In addition to the four founders, StretchSense employs two staff full time and one part time. Last month, StretchSense took out two top prizes at the New Zealand Innovator Awards – the Emerging New Zealand Innovator title and the award for Innovation in Design and Engineering.